With its earthen constructions unique to the Caribbean, Coro is the only surviving example of a rich fusion of local traditions with Spanish Mudéjar and Dutch architectural techniques. One of the first colonial towns (founded in 1527), it has some 602 historic buildings. Construite dans un style de construction en terre unique aux Caraïbes, la ville est le seul exemple qui subsiste d'une synthèse réussie de traditions locales et de techniques architecturales mudéjares espagnoles et néerlandaises. L'une des premières villes coloniales, elle a été fondée en 1527 et possède quelque 602 bâtiments historiques. تشكل هذه المدينة المبنية بالتراب حسب أسلوب فريد متّبع في جزر الكاريبي آخر نموذج عن خلاصة موفقة من التقاليد المحلية والتقنيات المعمارية المدجّنة الإسبانية والهولندية. وقد تأسست عام 1527 لتكون أولى المدن الاستعمارية وهي تحوي 602 بناء تاريخي. Город Коро, уникальный для стран Карибского бассейна, благодаря глинобитным постройкам представляет собой единственный сохранившийся пример сплава местных традиций с испанскими (в стиле мудехар) и голландскими архитектурными приемами. Это один из первых колониальных городов, основанный в 1527 г., где сохранилось 602 исторических здания. Con sus construcciones en tierra únicas en toda la región del Caribe, la ciudad de Coro es el único ejemplo subsistente de una fusión lograda de las técnicas y estilos arquitectónicos autóctonos, mudéjares españoles y holandeses. Fundada en 1577, fue una de las primeras ciudades coloniales de América y posee unos 600 edificios históricos. Coro werd gesticht in 1527 en is een historische stad uit de vroegste jaren van de Spaanse kolonisatie aan de Caribische kust van Zuid-Amerika. Voor de komst van de Spanjaarden, werd het gebied bewoond door Caquetios indianen, die het land irrigeerden via een groot kanaal vanuit de Cororivier. Coro is opmerkelijk omdat de aarden constructies in de stad - uniek voor het Caribische gebied - als enige helemaal intact zijn gebleven. Daarmee is het een voorbeeld van een vruchtbare fusie tussen lokale tradities met de Spaanse Mudejar-stijl en Nederlandse architectuur. De havenstad telt ongeveer 602 historische gebouwen. Dating from the earliest years of Spanish colonisation of the Caribbean coast of South America, Coro and its Port with buildings of earthen construction in a rich fusion of local traditions and Spanish Mudéjar and Dutch architectural techniques, have maintained their original layout and urban landscape to a remarkable degree. Located in the coast of Falcón state, west Venezuela, between the mountain range of Sierra de San Luis and the Parque Nacional de los Médanos de Coro (Coro Dunes National Park), the two urban areas cover 18.40 ha; 7.85 ha in Coro, and 10.55 ha in the Port of La Vela. . Established from 1527 the town’s domestic, monumental religious and civil buildings all employed earthen building techniques that are still in use today. Coro was the first Capital of the Captaincy General of Venezuela and the first Bishopric of Continental America established in 1531. Its Port of La Vela was the first South American town to achieve independence from Spain. Unlike other cities on the Caribbean Coast, the buildings of Coro and its Port are constructed with earthen architecture and domestic buildings show unique examples of traditional mud building techniques including bahareque (a system using mud, timber and bamboo), adobe and tapia (rammed earth). These are building techniques that are still in use today that have been modified and adapted to social, climatic and environmental conditions as well as to local materials, resulting in a unique example of earthen architecture. Coro is an outstanding example of a historic town, dating from the earliest years of Spanish colonization on the Caribbean coast of South America, which has conserved its original layout and early urban landscape to a remarkable degree. The urban value of Coro is represented by a building style derived from a colonising process where strong Spanish and Mudéjar building and architectural character and an indigenous building tradition converged. Afterwards, from the second half of the 17th century, this style was influenced by a Dutch architectural pattern introduced through the neighbouring islands of Curaçao and Aruba. The original layout and early urban landcape of Coro and its Port continue to be maintained and much of its earthen architecture remains intactdespite the difficult challenges the property has faced as a consequence of its material fragility and drastic environmental changes.Not all the attributes of the Outstanding Universal Value of the property such as the Cathedral, the Plaza Bolivar, San Nicolas and San Gabriel churches and the Jewish Cemetery are included within its boundaries, which require extension. The property is vulnerable to the impact of inappropriate development within it due to the lack of urban controls and around it due to the lack of a regulated buffer zone. Coro has experienced many vicissitudes since its foundation. Much of what has survived dates from the 17th century. Hence, a lot of conscious efforts have been made since then to maintain intact the urban checkerboard layout of the city and its uniqueness derived from the conservation of the extensive use of its earthen building system. Coro and its Port fully preserve its urban layout with irregular blocks characterized by its Spanish influence, which was organized based on its proximity to the indigenous irrigation channel. Its buildings maintain completely their spatial, structural and constructive conformation. Besides, earthen building techniques employed to erect all its buildings remain in use by a large number of active craftsmen. That is why the qualities of the site reflect the spirit and the sensitivity of its historical evolution. The World Heritage site of Coro and its Port of La Vela is protected under the Law on Protection and Defence of the Cultural Heritage (1993) and by the declarations as a National Monument in 1960, 1977, 1984, 1992, 1993, 1996 and 2005. Since the creation of the Presidential Commission for the Protection of Coro and La Vela in December 2003, actions have been defined and executed for a better management of the site. This Presidential Commission has completed and formalized the submission of the Integral Plan for the Conservation and Development of Coro y La Vela (Plincode)where the needs and guidelines of action to be implemented in the short, medium and long term were clearly defined. Due to the unusual rains and subsequent damage to the cities of Coro and La Vela in late 2004 and early 2005, the world heritage site was inscribed on the List of World Heritage in Danger in 2005. In view of this, emergency actions were undertaken to mitigate damage to architecture and public spaces. In February 2006, the Institute of Cultural Heritage signed the “Framework Agreement for Emergency Intervention in the area of Coro and its Port of La Vela”, with the Governmentof the State of Falcon, the Mayors of the Municipalities of Miranda (Coro) and Colina (La Vela), and the State-owned company Petróleos de Venezuela S.A. (PDVSA), with the goal of coordinating efforts to address the needs of the built heritage of the World Heritage site with a contribution of 64,000,000 Bolivars which was equivalent to US$30,000,000 at that time. Actions were executed under the Plincode, by setting up a management unit named Technical Office for Emergency Attention (OTAE). 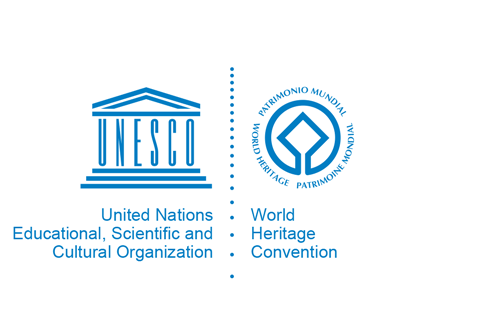 Members of the UNESCO/ICOMOS Joint Monitoring Mission of 2008 recognised the technical, administrative and economic efforts made by the Venezuelan State with regard to the critical conservation situation that has led to the inclusion of the site in the List of World Heritage in Danger. They also recognised the level of responsibility of the Venezuelan State in considering the recommendations made by the World Heritage Committee. Likewise and in view of the national legislative changes with the creation and implementation of new laws, giving more participation to the social organizations such as community councils, the Plincode terms were revaluated and it was decided to include community councils into all decision-making bodies of the World Heritage area of Coro and the Port of La Vela. As a result, all community councils of Coro and La Vela signed the “Management Commitment for Protection, Conservation and Rehabilitation of areas declared World Heritage of Coro and its Port of La Vela and its Protected Areas”. This instrument establishes strategies to protect preserve and revitalize areas declared heritage by defining aims, performance indicators, organizational conditions, benefits and obligations of the bodies, goals of the public administration and organized communities. It also defines the execution, faculties and commitments of the Institute of Cultural Heritage, as well as organizational and financial structure for the implementation of the management plan, among other aspects. It provides for an Office of Management Commitment, with a Board of Directors and a Technical Board. The new management method (Management Commitment) with the active participation of community councils can represent a unique and valuable experience in managing heritage properties. This experience generates positive expectations, since action is focused on participatory and strategic planning aimed at preserving Outstanding Universal Values of Coro and its Port of La Vela. The management plan aims to establish and implement actions within the framework of sustainable conservation of the city of Coro and its Port of La Vela given its significance in terms of architectonic, historic and construction features taking up the popular wisdom about traditional techniques and processes. These actions will be implemented along with heritage creators through the joint efforts of communities as the key players in decision-making, artisans who implement and have experience on construction, and national and local institutions, through their continuous support to the communities in managing the plan. This management plan focuses on urban, architectonic, heritage, economic, social and environmental issues.